Family law is very different from other types of law. You cannot decide who gets child custody or whether a child should be taken away from her parents the same way you decide whether a physician is guilty of malpractice. But until recently, family law cases were decided in the same courts as contract cases, shareholders’ suits against corporations, and defamation cases. Now, Unified Family Courts have been created in many parts of Canada to deal with the unique nature of family law disputes. A Canadian or Ontario Unified Family Court (UFC) is a court with jurisdiction over all legal issues related to the family, and that does not deal with any other kind of case. There are at least five different ways in which UFCs have greatly improved how family law cases are resolved. A single court deals with all family law issues. Imagine having two lawsuits at the same time about the same issues. What a waste of time and money that would be. Yet in places where there are no UFCs, this can easily occur in family law cases. It can even happen that one court makes an order that conflicts with an order from the other court. UFCs resolve this problem by dealing with all of the disputes involving a family in one place. The reason for this problem is the peculiar nature of Canadian federalism. The federal government has jurisdiction over divorce, division of matrimonial property and other injunctive relief. The provincial governments have jurisdiction over adoption, child protection matters, and property disputes between spouses. 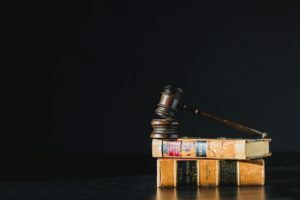 Both governments have jurisdiction over spousal support, child support, child custody, and access, but if a divorce is involved, the federal government’s jurisdiction is primary. The overlapping jurisdiction between the two levels of government means that the two governments must agree on how a UFC must be run. As with anything that requires intergovernmental cooperation, this was not easy to accomplish. However, now a basic model has been developed, and it is spreading throughout the country. At present, UFCs exist in Ontario, Newfoundland, New Brunswick, Nova Scotia, Manitoba and Saskatchewan. Alberta is currently considering establishing UFCs. In a UFC, all the judges have a particular interest, aptitude and expertise in family law. Family law cases are all they deal with the entire day. This means that the judges have a better grasp of what the law is and where it is heading. This is in contrast to the normal situation in a court, where judges are generalists and often have no background in family law. The specialisation allows for more efficient handling of cases. For instance, on a spousal support motion at a UFC, it is not necessary to spend any length of time explaining to the judge what the law is, as the judge is already familiar with the law on spousal support and may have written several leading decisions on the subject. This allows for a better use of court time. It also reduces the amount of work a lawyer must do, resulting in cost savings for the lawyer’s client. The specialisation of the judges also means better decision making, as the judges are familiar with the unique dynamic of family disputes. In addition, the specialisation is also beneficial for the development of the law. The judges are constantly trying to find better solutions for the problems they see regularly. The traditional legal process is adversarial in nature. There is a fight; there is a winner, and there is a loser. This does not work well for family law disputes. When you have two good parents, how can a judge really decide who should get child custody? The best solution is for the parties to work out the parenting arrangements between themselves. One way people can settle their disputes is through mediation. In mediation, each party, together with a mediator, discusses the issues involved in their case to try to resolve these issues. The mediator is a neutral third party who helps the parties work towards a reasonable solution. Unlike regular courts, UFCs normally make low-cost mediation available. The benefits of mediation are numerous. I have had cases in which I thought the parties would end up fighting all the way to the Supreme Court of Canada that were resolved in mediation. It is quicker and cheaper than the legal system. The parties shape the final decision, rather than having an outside third party (the judge) hurriedly fashion a settlement. People are more likely to stick to a mediated agreement that they have been involved in shaping, rather than an agreement imposed upon them by the court. Mediation leads to more flexible decisions than the legal system. It is a confidential process, which can be important given the private emotional and financial issues involved in a family law case. Mediation also better preserves relationships than litigation does. At UFCs in Ontario, two types of mediation are available. If you have a court hearing on a particular day, you and your spouse can attend a free mediation session prior to the hearing, in an attempt to avoid proceeding with the hearing. There are also low-cost mediation services available where you and your spouse can attend several sessions in an attempt to resolve your entire case. Unlike in other types of cases, many people in family law cases do not have a lawyer. They are faced with the daunting task of navigating the court system, the law, and the rules of procedure that lawyers spend years learning, on their own. UFCs have attempted to deal with this situation by providing people with advice and assistance. Each UFC in Ontario has a Family Law Information Centre. These centres provide a wealth of information and help to people who do not have lawyers. Many booklets are available to inform them; staff is there to assist, and a lawyer is available for a free, private consultation to help with people’s specific problems. To make the legal system more accessible to people without lawyers, UFCs have spawned many innovations. One innovation is the use of procedural rules that deal with the special circumstances of family law cases. For instance, examinations for discovery are a routine part of a court case. An examination for discovery is where each party is asked questions, under oath, by the other party’s lawyer. The answers are recorded by an official reporter. However, in Ontario, the family law rules have made examinations for discovery the exception rather than the rule. This expensive and time-consuming process has been eliminated from all but the few family law cases in which it is really needed. As a result of procedural innovations such as this, generally, cases in UFCs move much more quickly than cases in the regular court system. Similarly, in Ontario, a court form has been created for everything. For instance, in a regular court, to start a case you must draft what is known as a statement of claim, which can be a complicated document. However, if you need to apply for child support, you need not draft a statement of claim. You simply get the form called "Application," fill in some basic personal information, and put a check next to the box that states child support. Finally, there are many other smaller ways in which UFCs have improved on the traditional court system. Being a party in a legal case is stressful and expensive. However, UFCs have made family law cases less stressful, cheaper, quicker, and more accessible to people without lawyers.